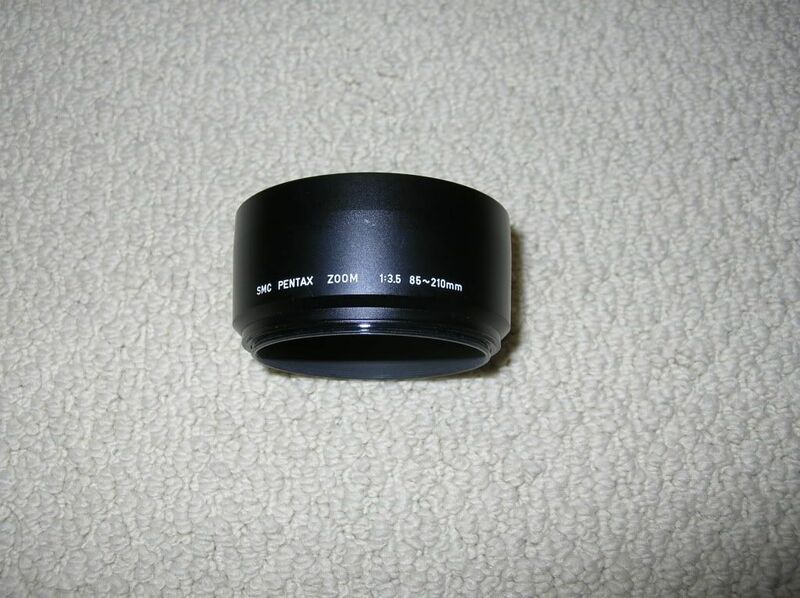 The hood for the Super-Multi-Coated TAKUMAR 1:4.5/20 is also 58mm, so it should fit. Thanks for your reply and indeed, I found a Takumar 1:4.5 20mm hood with the original adapter at an online store in London for 10£. 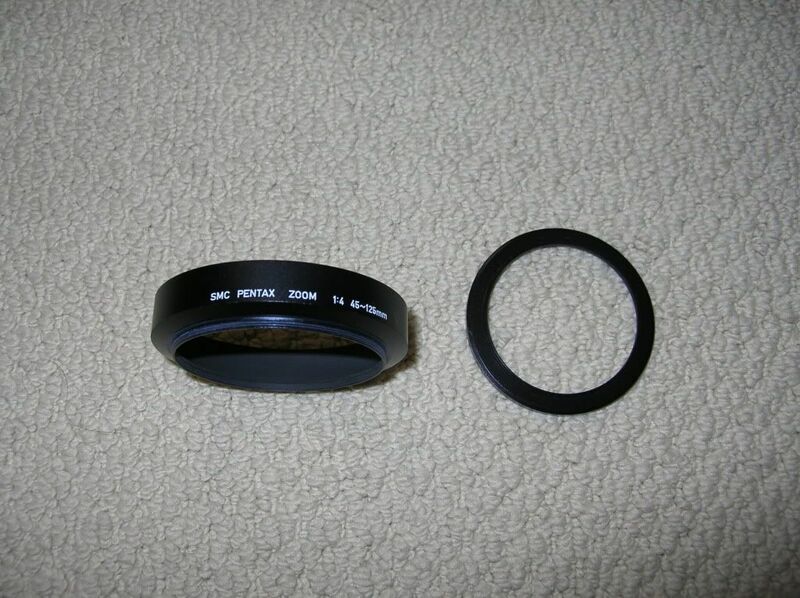 However the back of the adapter has a female thread of +/- 60mm! So this is unusable. 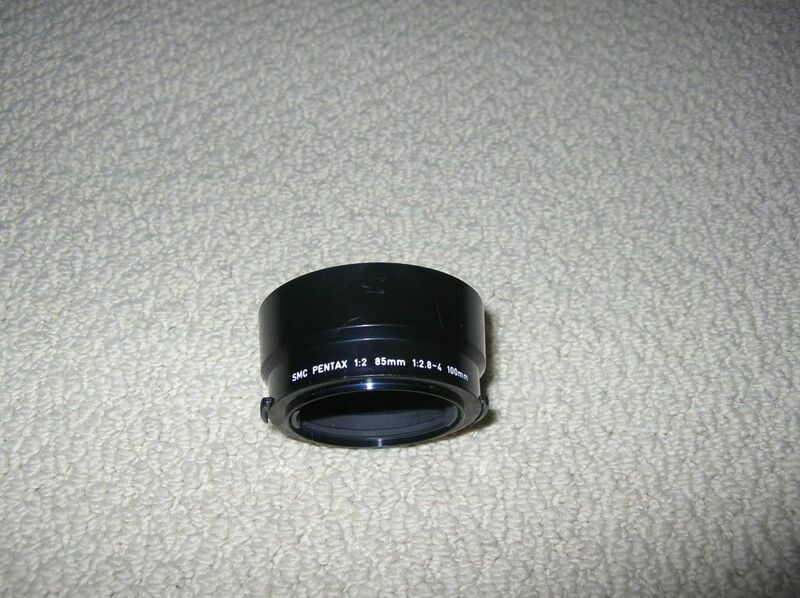 The hood itself is OK, so I bought a new step-up ring 58-77mm and it fits perfectly without vignetting. Problem resolved! Wasn't a 30mm hood with the corresponding markings (1:2.8 30mm) made? 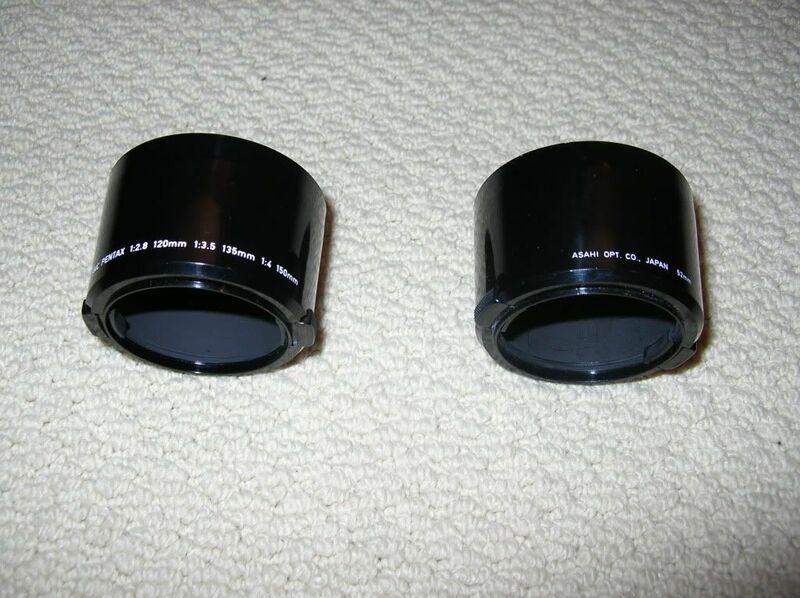 There may have been one marked with just the one lens, as the K30/2.8 was available until after the A Series had come out and the other K Series lenses using that hood had been discontinued. Never the lest it's the exact same hood. 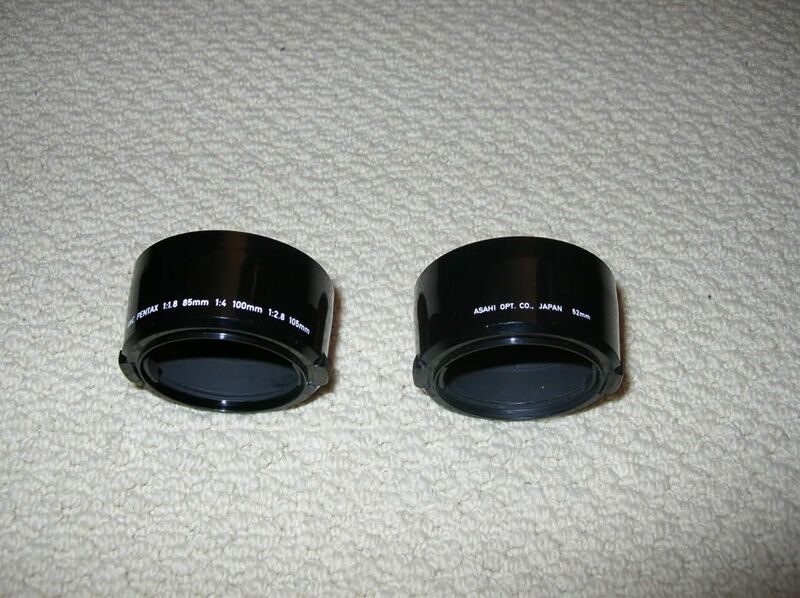 Same applies to the Ultra wide 58mm hood. 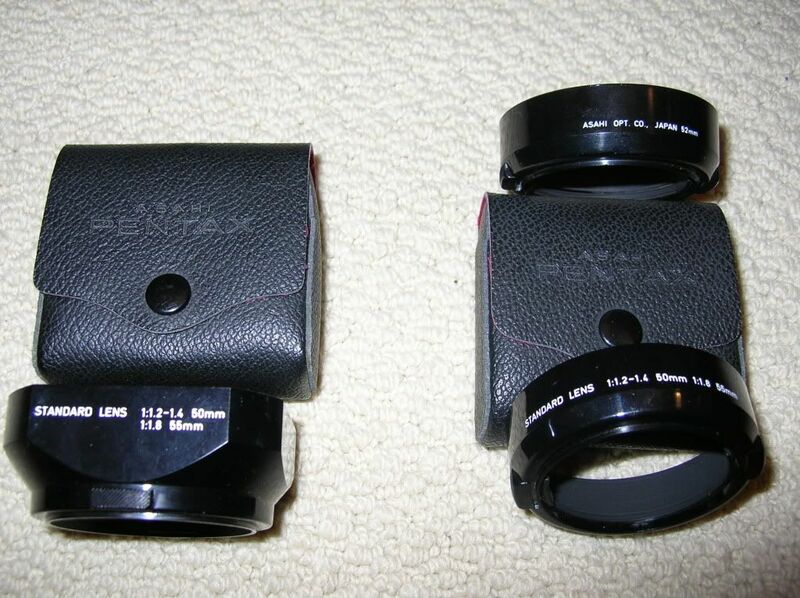 I have some with different lenses marked on the hood, as the K18/3.5 was released later on. 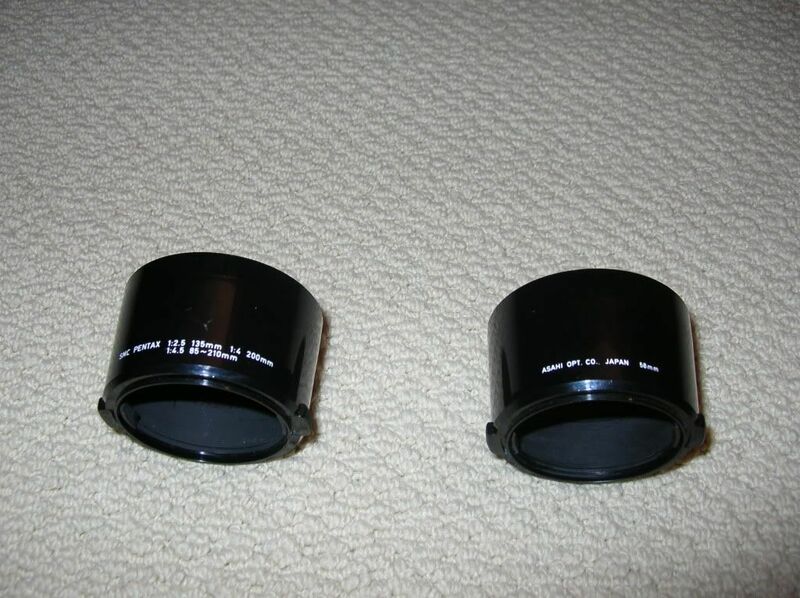 Which one for this lens? 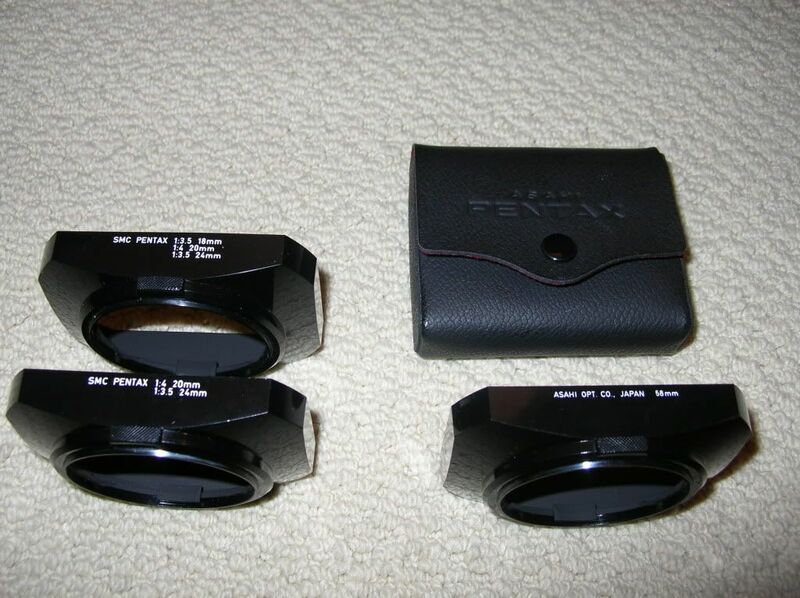 That’s an M series lens so none of these will fit. 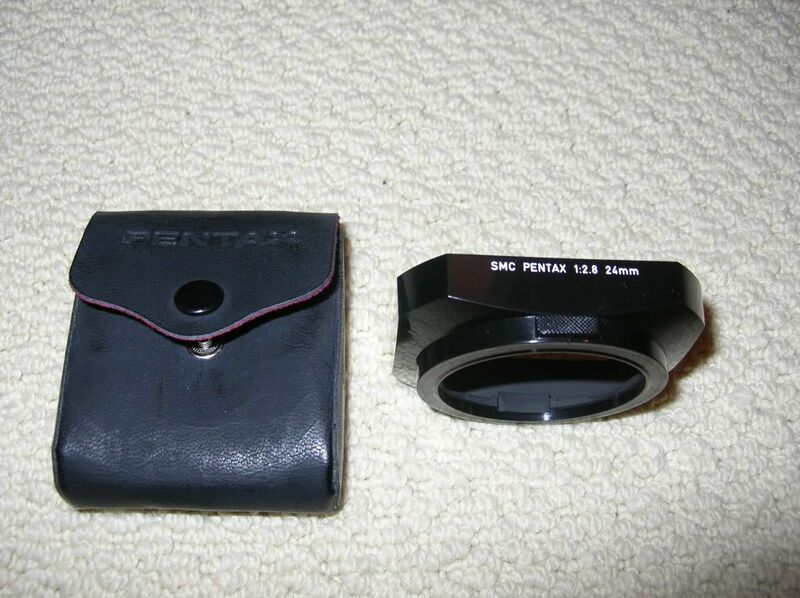 That lens has 49mm filter threads. 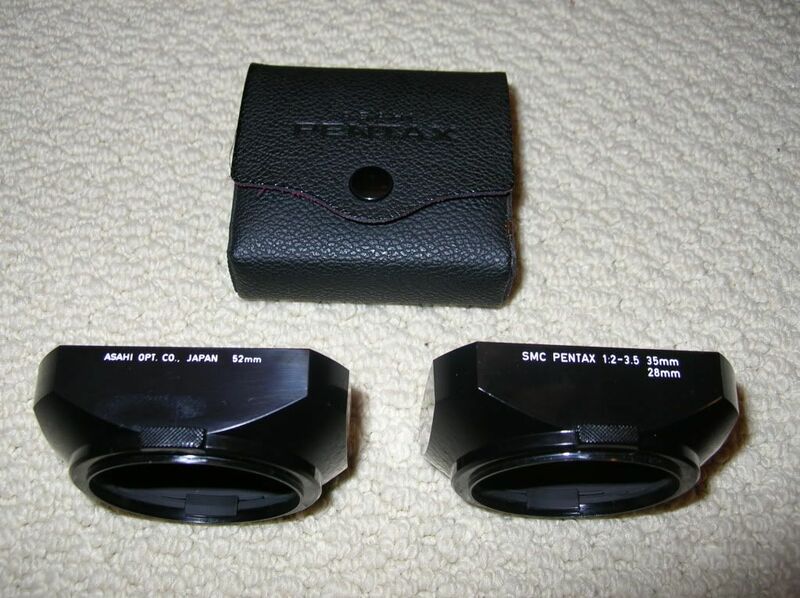 These are 52mm and 58mm. The proper hood is PH-S49 Square Clip-On or PH-R49 Round Clip-On. 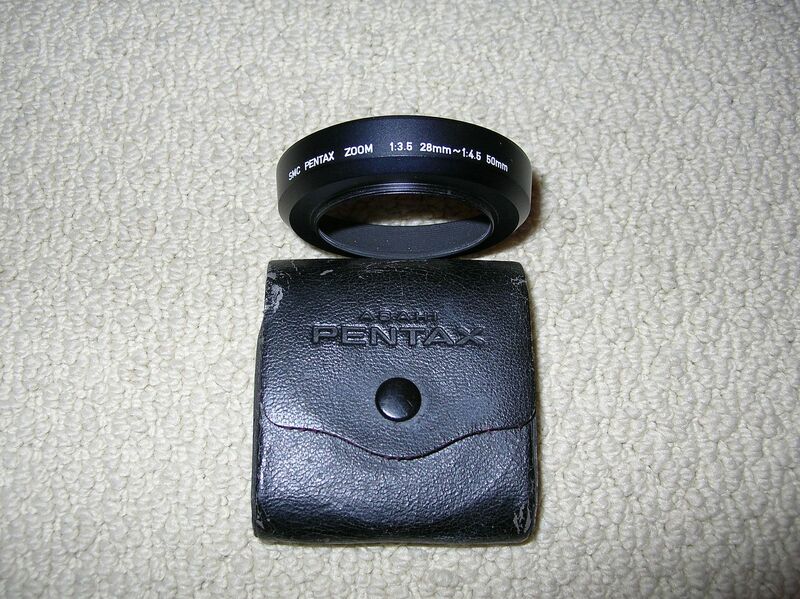 The square can often be found with a leatherette case.